Angela Iuso counsels and represents a broad array of insurance company clientele as well as various corporate clients and individuals. A versatile practitioner, Angela focuses on general liability, homeowner defense, construction defect, premises liability, professional liability (architects, engineers, lawyers, insurance brokers and accountants), financial broker-dealer matters, employment claims and counseling, environmental claims, mass torts, products liability and cybersecurity. She also represents a wide range of executives, directors and officers in litigated matters as well as in a variety of corporate and business issues. Angela has significant experience in the area of environmental law, handling matters related to various environmental contaminants, clean up, property damage, personal injury and violations with state and federal agencies. She has defended clients in matters involving exposure to asbestos, mold and numerous chemicals, as well as disputes related to soil and groundwater contamination, including contamination caused by petroleum products. She is also highly experienced in representing premises owners, contractors, product distributors and manufacturers in mass tort/exposure matters. With a diverse roster of corporate clients, Angela provides representation for acquisitions and sales of corporate entities, as well as related employment issues, including contractual matters and restrictive covenants. She also represents insurance agents and brokers in litigated matters, transactions and issues related to restrictive covenants and compliance issues. 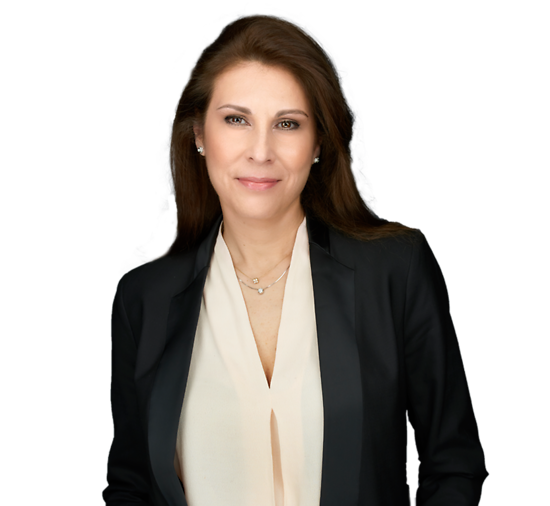 Angela is a Board Member for the New Jersey Women Lawyers Association and currently serves on the Advisory Board of Leading Women Entrepreneurs. Formerly, she served as Board Secretary of the New Jersey Ethics Committee-District VC and was a Barrister in the William J. Brennan Jr. Chapter of the Essex County Inn of Court. Sommers v. McKinney, 670 2d 99 (N.J. Super Ct. App. Div. 1996): Represented an attorney in a legal malpractice claim dismissed at the trial level due to plaintiff’s failure to provide an expert report. The Appellate Division reversed and remanded, for trial to proceed to a jury without the need for expert testimony. Gross v. Cohen Dufour & Associates, 642 2d 1074 (N.J. Super Ct. Law Div.1993): Defended an attorney who served as in-house counsel to a public accounting firm in an action alleging fraud, negligence and other theories related to allegations of false information in a Uniform Franchise Offering Circular provided to each potential franchisee. While a similar complaint was pending in United States District Court, the state court ruled that the action against all state court defendants was barred based upon the entire controversy doctrine. Garay v. The Star Ledger, 598 A.2d 22 (N.J. Super. Ct. Law Div. 1991): Defended a plant owner/newspaper in an action by an injured worker in which the court granted a motion to amend the pleadings to add the manufacturer of the machinery after two years of litigation. Crespo v. Stapf, 576 A.2d 346 (N.J. Super. Ct. Law Div. 1990): Defended a non-resident individual and a machine manufacturer in a product liability action in which an injured operator sought recovery. The court held that the statute tolling the statute of limitations for commencing an action against non-resident individuals was unconstitutional under the commerce clause. Interview Subject, “Collegial Atmosphere Attracts and Retains the Diversified Talent Needed to Meet the Demands of the Most Complex Matters with Insight and Economy"
Co-author, “New Jersey Supreme Court Expands Application of Flexible Standard for Admission of Scientific Evidence on Causation"